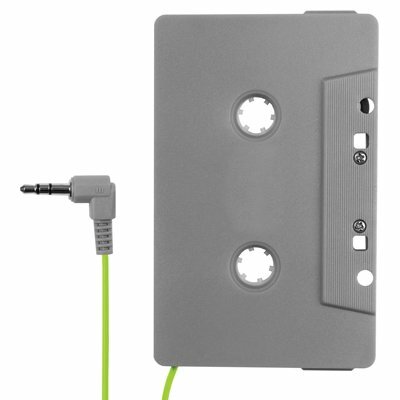 Aux In Cassette Adapter, Assorted Colors: Gray/Green, Enjoy Digital Music In Your Vehicle With This Cassette Tape Adapter, Plug The 3.5 mm Audio Device and Set Your Tape Deck To Play. If you have any questions about this product by E Filliate, contact us by completing and submitting the form below. If you are looking for a specif part number, please include it with your message.